I have painted and drawn for as long as I can remember. Initially painting with oils or water-colour then for the last 20 years using artists acrylics. While my children were in Primary school I began teaching adults and children’s art/folk art classes from my home studio and after-school art classes at their school. My home based classes continue today, 20 years on. Some of my students have continued with me from aged 10 through to their University/work lives. During this time I undertook the planning and implementation of murals at St Gregory’s Lowe St and MacQuoid St campuses in Queanbeyan. The second, larger mural involved the complete project management, planning and implementation process teaching 40 students art techniques for all aspects of the mural and supervising their painting schedule with my 5 adult volunteer assistant teachers. The whole project took one year from planning, preparation of the surfaces, students introductory classes, design, painting and completion – a most rewarding project which is now, unfortunately, not visible to the public except by special request due to building alterations. 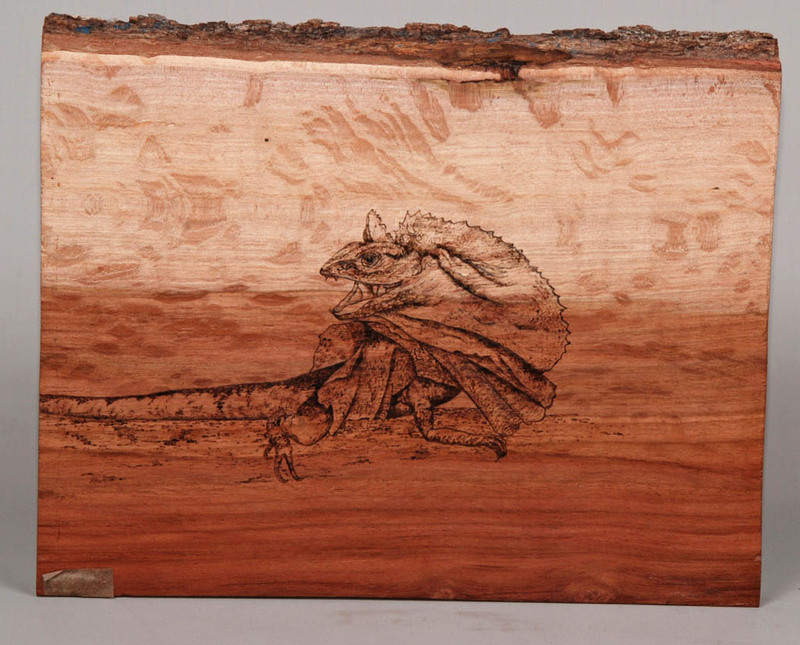 Some years ago I was exposed to Pyrography (burning a design onto timber). 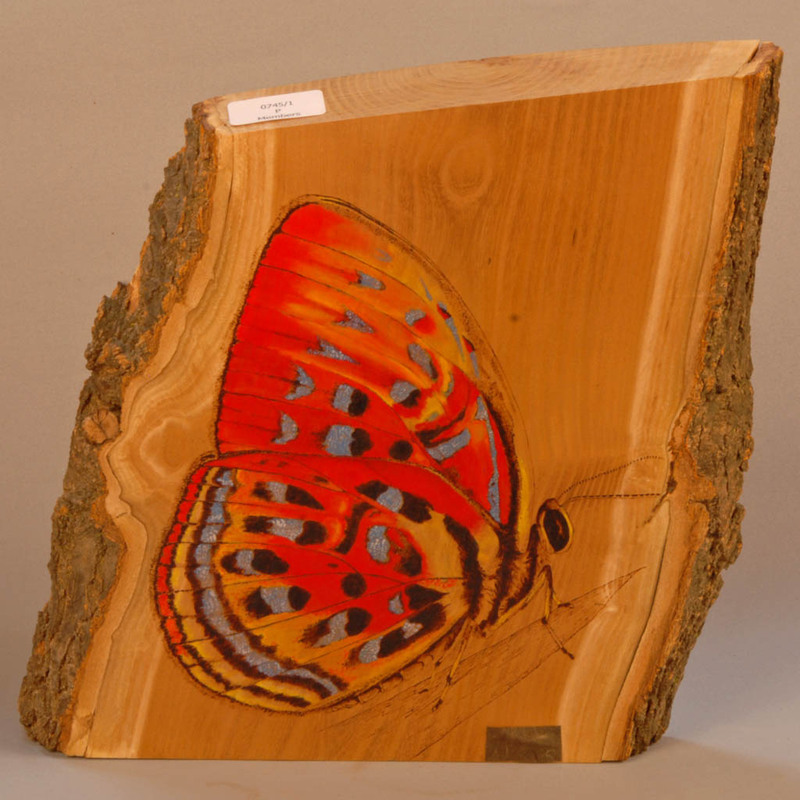 After many synchronistic experiences I joined the ACT Woodcraft Guild in 2010 and exhibited in the Guild’s Annual Exhibition since then receiving many awards is Pyrography. 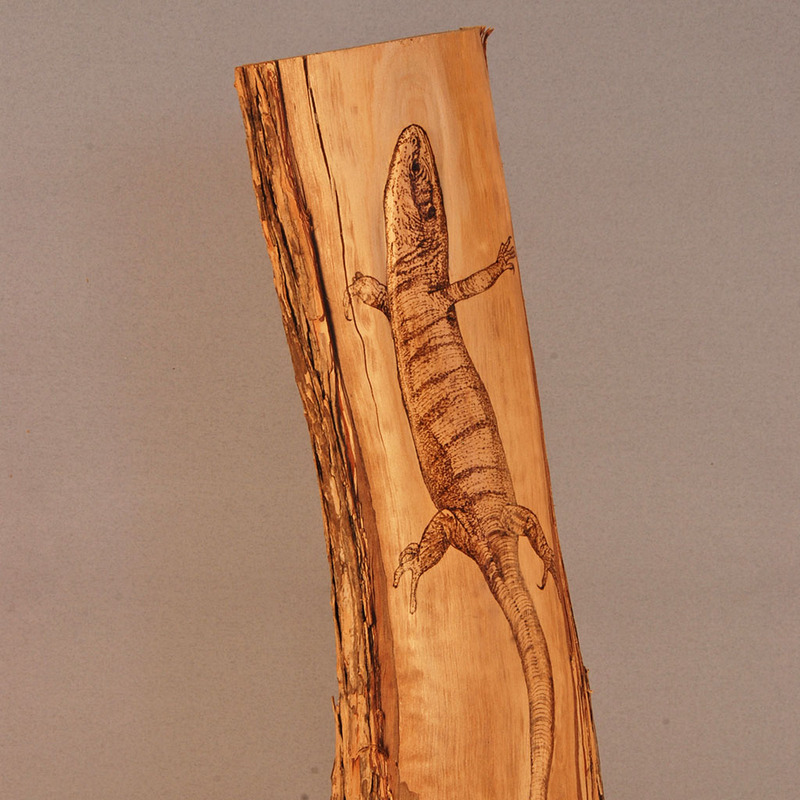 Unlike my paintings or drawings which are landscapes or portraits, my Pyrographed pieces are all totemic wildlife pieces and are developed mostly from my own photos from one of my families many camping trips into and around this amazing country. Since then I have completed private commission works, exhibited at the 2011 South Queanbeyan Primary School Exhibition featuring 40 local artists, completed pyrographed calligraphy commissioned work for Dunstone Design and a permanent major commissioned piece for the new Queanbeyan Library and won the Peoples Choice Award for the 2012 Palerang Shire Art Awards.